‘Aquaman’ reveals the origin story of half-human, half-Atlantean Arthur Curry (Jason Momoa) and takes him on the journey of his lifetime—one that will not only force him to face who he really is, but to discover if he is worthy of who he was born to be…a king. Aquaman was directed by James Wan (Saw, The Conjuring, Furious 7). The screenplay was written by Will Beall (Gangster Squad) from a story by Wan and Geoff Johns. 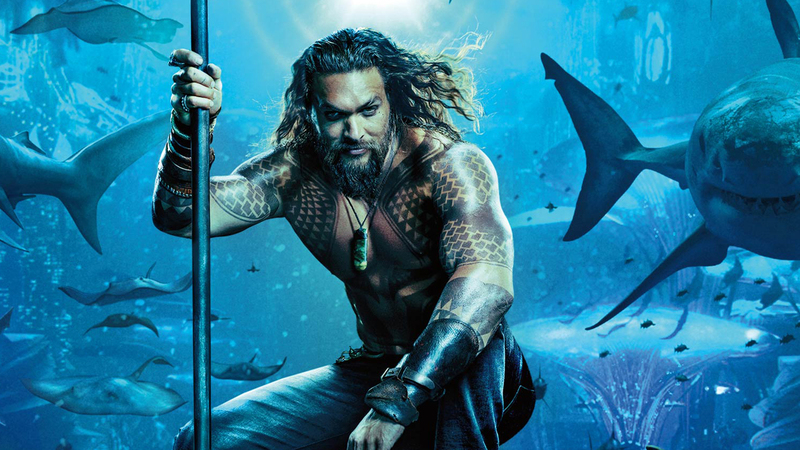 The cast includes Amber Heard as Mera, Patrick Wilson as Aquaman’s half-brother, Orm; Temuera Morrison as Aquaman’s father, Thomas Curry; Willem Dafoe as Nuidis Vulko, science advisor to the throne of Atlantis; Yahya Abdul-Mateen II as Aquaman’s archenemy, Black Manta; Dolph Lundgren as King Nereus of the undersea kingdom of Xebel; Julian Lewis Jones as the king of Atlantis; and Academy Award-winner Nicole Kidman as Aquaman’s mother, Queen Atlanna. Aquaman opens in theaters on December 21st. Hard to make underwater action look cool. I’m skeptical.